Prior to serving, decorate with hard-boiled quail eggs, black olives, and avocado slices. 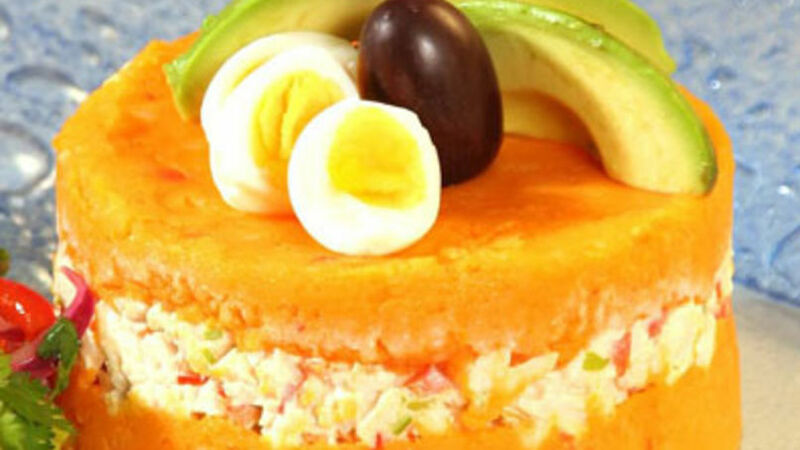 Causa is a beloved cold potato entree that’s unlike any other dish in the culinary world. The yellow potato and yellow chili pepper mash is assembled in layers, together with chicken, seafood, corn, avocado, olives, and whatever the imagination allows. This is a colorful and tasty variation of the original.